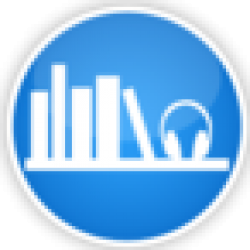 ABR's full Solar Storms (Orbs Book 0.25) audiobook review and many others can be found at Audiobook Reviewer. Solar Storms (Orbs Book 0.25) is essentially Chapter 6 of Orbs book 1. If you have read or purchased Orbs, there is no reason to listen to Solar Storms. If you want a quick intro or are unsure of listening to Orbs, you can listen to this short story. It describes the events leading up to the Orbs trilogy, the intense solar storms that fry a portion of the planet. Earth is being attacked, but no one knows it yet. 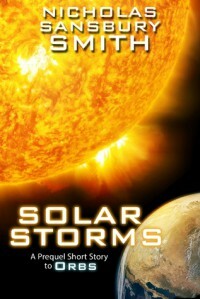 By itself, Solar Storms does not hold up as a short story. Characters are not well developed, there is an open ended plot, and conflicts are not resolved. If you are unaware that this is part of a book, you would wonder what you are reading and why. If you are listening to it as a prequel to Orbs, that is fine, but why not simply listen to Orbs? It is hard to give it a bad review because it is part of a generally good book, but on its own it simply doesn’t hold up well. Move on to Orbs and simply skip this redundant intro. Elizabeth Evans does an excellent job narrating as she does in Orbs. She has a good clear voice and excellent character differentiation and is easy to listen to. Her accents are strange but only mildly distracting. Audiobook provided for review by the author.